Paranoia. Unrest. Unemployment. Society on the edge of ruin. The state against the individual. Sounds like eighties, doesn't it? But it's now. 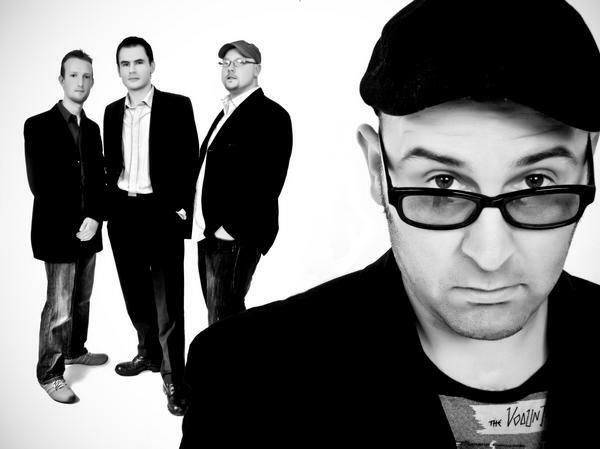 That's why Hull-based City of Glass are a relevant, exciting new voice that must be heard. Driven by an eighties-nostalgic synth engine, all rippling arpeggios and robotic interjections, interwoven with wiry and insolent guitars, and underpinned by bass and drums that are simultaneously danceable and threatening - this is music that has been waiting to happen. And let's not forget the songs - they've got more hooks than a thigh-length boot, but these are intelligent observations that talk about what it's like here, now. Singer Deeaay sounds like he's been there, come back and now he's going to make you listen, by force if necessary. Remember social commentary you can dance to? 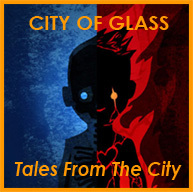 City of Glass have eaten it up and spat it back at us. We need this. News item from 'hull vibe' is fairly accurate reportage about the group. City of Glass are a local Hull based band that seem to have sprung up from nowhere and certainly won't go unheard of for long. The electro Indie foursome are bringing something totally fresh to the Hull music table incorporating many different elements of music to make their sound compatible to everyone's ears. On their first track on their MySpace page 'Scene on the scene' you can certainly hear elements of dance, electro and strong guitar. You may disagree but I also think there really is something 'Crystal Castles-ish' about this band. This seems to be an on-going theme through the tracks they have on their. Each and everyone is very well produced and would fit in perfectly in the current electro charts and wouldn't fail to get you on your feet. Their fresh and impressive tunes haven't gone un-noticed as they'e just bagged a publishing and recording deal with Invisablegirl Records. The deal itself will allow the band to release their debut album, - 'Tales from the City', which is due for release late January/February time. The album will feature 11 tracks and will also be available on I-Tunes and hardcopy CD, which you can buy in person from their various gigs across the city and the UK and 200-300 copies will also be available from Beasleys and Chinese Launry and if the tracks on their MySpace are anything to go by I'll definitely be getting my hands on a copy. It's about time the Hull music scene was shaken up a bit and City of Glass are certainly the layer of excitement that our city needs, I highly recommend catching them whilst they're still in our area as I'm sure they'll be jetting off around the country very shortly. Good luck with the album guys. Support the city. Jan 22 2009, 08:31 by lucyhullvibe... We have had these @ Ringside. What a breath of fresh air...fantastic!!! Jan 21 2009, 09:13 by wkd.. Been a fan of theirs for a while - great band!